Don’t be fooled by Christy’s blog name — she lives a life far from ordinary. Known as the Ordinary Traveler, she and her husband, Scott, have been criss-crossing the globe in search of the best adventures and finest luxuries the world can offer. For them, Accor Le Club Hotels is a natural fit. Having stayed at the Fairmont Jasper Park Lodge and the Fairmont San Francisco Hotel previously, we asked Ordinary Traveler to take part in the Seeker Project. This revolutionary travel quiz uses behavioral analytics and biometric data to help “predict” a user’s dream travel destination. 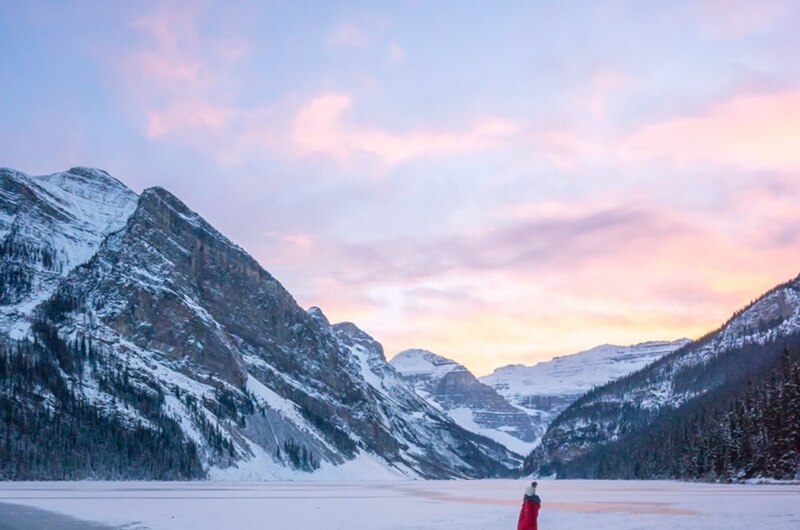 Christy, with a love of the outdoors and a relaxing evening in, found not one but two heavens at the Fairmont Chateau Lake Louise and Fairmont Banff Springs in Alberta. Hi Christy! Thanks so much for joining us today! We’ve known you for a long time, but this is the first time we’ve interviewed you. Can you tell us a little bit about yourself and how you got into travel blogging and photography? Hi! Thanks so much for having me! I started travel blogging as a hobby over 10 years ago. I had always loved photography and took classes in high school and college where we had to develop our photos in a dark room (remember those? ), so I wanted a place online where I could post my travel photos as a way to remember my trips. It quickly grew into a full-time business, and it’s been a really fun ride. What’s the story behind the name “Ordinary Traveler”? Scott and I wanted to start a blog for people who had careers but still loved to travel. At the time, about 10 years ago, it seemed all the travel blogs were geared toward nomads, and we wanted to show people how to balance a healthy home life, a career, and travel. Your most recent trip was pretty special because of the Seeker Project. Can you tell us a little bit about that quiz and how it paired you up with not one but two dream destinations? The Seeker Project is an awesome way to gauge what you’re craving in a vacation experience by using data. The behavioral part of the quiz shows you different photos, and you choose which of those photos you’re most attracted to and inspired by. Each of the photos is linked to a travel style in the project’s algorithm, and once you’ve chosen your favorites, it tells you what kind of a trip you should take. The Le Club Accor Hotels brand really sets itself apart from other luxury travel brands with its unique services. What made the Fairmont Chateau Lake Louise and Fairmont Banff Springs stand out one from the other? The Le Club Accor Hotels brand definitely goes above and beyond, and it really lives up to the Seeker Project’s philosophy of anticipating needs and desires to give a tailored luxury experience. I really loved that both hotels had an emphasis on wellness, with the Fairmont Chateau Lake Louise even hosting wellness retreats year round. In terms of how they stood out one from the other, I’d say that the Fairmont Chateau Lake Louise had more of an emphasis on outdoor exploration with that hotel employing a full-time mountain adventure guide, whereas the Fairmont Banff Springs was more geared toward relaxation and rejuvenation. Nevertheless, there were definitely elements of both at each of the hotels. What were some highlights of a seasonal visit like yours? Because I visited in November, the grounds of both hotels were very peaceful, and there was so much opportunity to explore in a very relaxing atmosphere. I also loved how much it snowed while I was in Banff; it was a total winter wonderland. Plus, Lake Louise froze over, and I was able to walk on it at times! 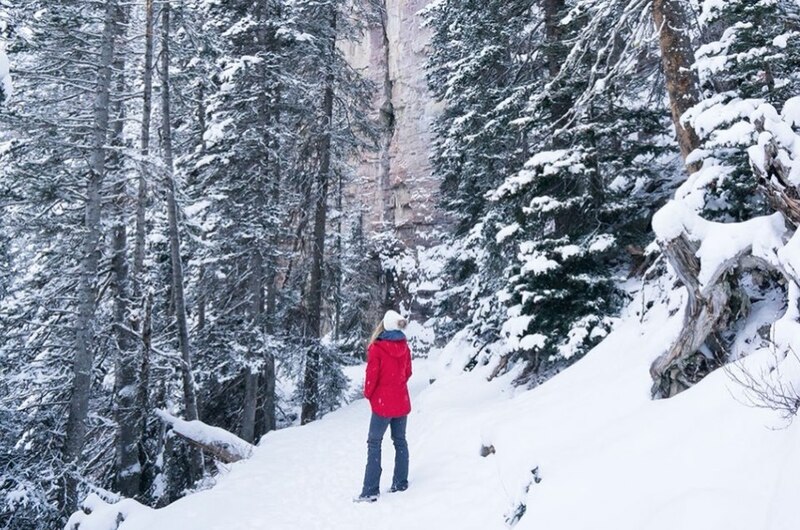 Before the Seeker Project, would you have considered staying in Banff and Lake Louise — or did your results open new possibilities and ideas for you? I’m actually a long-time fan of Banff and Lake Louise, and I was at both locations in September a few years ago. That said, the Seeker Project was bang on when it told me I needed a relaxing, cold-weather trip to the mountains. I’ve wanted to visit these locations in the winter for years, and I definitely got the trip I was craving. 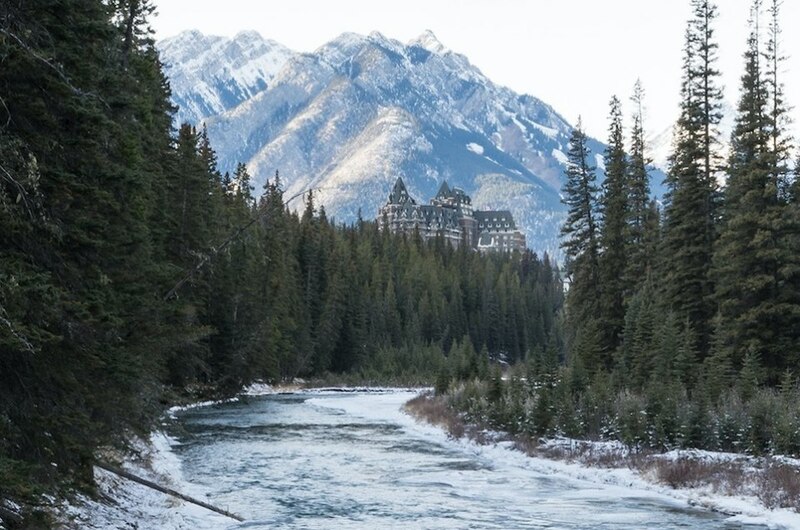 With the Fairmont Banff Springs as your base, what were some places you got to seek out? I visited the Vermillion Lakes, wandering around the town of Banff, and hiking around the hotel to some really great photography vantage points. I also got out to hike Johnston Canyon for a morning and it was just as stunning as I remembered. Could you tell us about the Afternoon Tea experience you had at the Fairmont Chateau Lake Louise? It was a great experience! I’d seen photos of the Rundle Lounge prior, as the view from there is iconic, but it was so much better in person. I was really impressed with the staff and their knowledge of the menu and the traditional tea etiquette. Not to mention how delicious everything was. On my first morning in Banff, I made a point to go to the Vermillion Lakes at sunrise and photograph the mountains with the pink sky in the background – that was definitely a highlight. I also loved the opportunity to photograph Lake Louise covered in a blanket of snow. At one point I hiked out to the back of the lake in search of frozen waterfalls that were also very Instagram-worthy. The Seeker Project is a great way to get in touch with your inner travel desires. By using a program like this, I feel that travelers will get a much more fulfilling vacation than if they didn’t do the personal research. 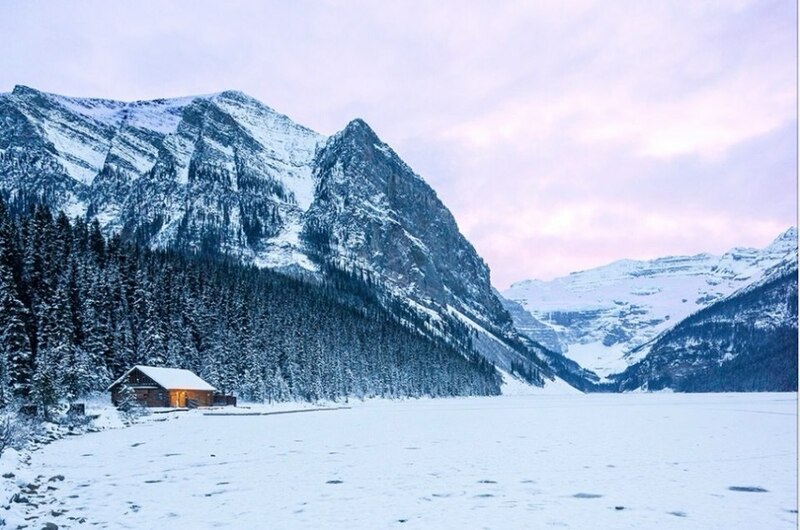 Christy used the Seeker Project to find her dream winter getaway at the Fairmont Chateau Lake Louise and the Fairmont Banff Springs. This unique quiz, brought to you by Le Club AccorHotels, uses behavioral analytics to help users find their dream travel destination. Click here to take the quiz to discover the destination your heart truly seeks.